Why would I need self storage in Boynton Beach, FL? There are a variety of reasons why you might need self-storage in Boynton Beach, FL. How much is a storage unit in Boynton Beach, FL? The cheapest storage unit in Boynton Beach, FL is $16.00 per month. What size storage units do you have available in Boynton Beach, FL? In Boynton Beach, FL we have sizes that range from 5'x3' to 20'x30' to suit your storage needs. How much is it for a 5'x3' storage unit in Boynton Beach, FL? The cheapest 5'x3' storage unit in Boynton Beach, FL is $39.00 per month. Boynton Beach is a vibrant and steadily-growing city in Florida's Palm Beach County. This tourist destination sits on the Atlantic coastline, about 32 miles north of Fort Lauderdale and 63 miles north of downtown Miami. As a resident of Boynton Beach, you'll enjoy all the comforts of a major vacation spot in your own backyard, including scenic beaches, waterfront dining, outdoor shopping and local entertainment. 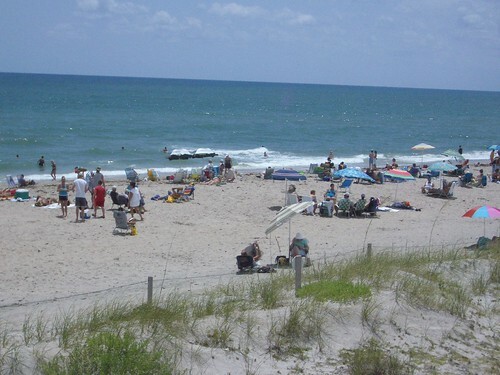 Boynton Beach was named after Nathan S. Boynton, a major in the American Civil War who settled in the area in 1894. He commenced building the iconic Boynton Beach Hotel in 1896. The development saw Boynton Beach's population of less than 50 residents grow significantly, as construction workers stayed in the area after the hotel's completion to farm flourishing crops of pineapples, peppers, tomatoes, beans and cabbages. Boynton Beach Hotel attracted tourists to Boynton Beach for nearly 30 years, but was dismantled in 1925, with developers planning to build a new hotel to meet traveler demand. However, when a hurricane tore through the area in 1926 and land values fell, the new hotel never came to be. Boynton Beach Hotel may be a distant memory today, but the city of Boynton Beach still has a thriving tourism industry thanks to its beautiful beaches, many museums, and a vibrant arts and cultural scene. With its coastal location and close proximity to other Florida hot spots, Boynton Beach is perfectly situated to capture a significant amount of the state's tourism dollars. Boynton Beach hotels, restaurants, tourist attractions and retail stores all provide a number of jobs in the city. Despite this, tourism firms are not the largest employers in Boynton Beach. Actually, the most significant source of jobs comes from the health care, education and retail industries: Bethesda Memorial Hospital, the city of Boynton Beach, Palm Beach County School District and Publix Super Markets are among the top employers in the area. If you're looking for a job in the area, these employers can be a good place to start. Palm Beach County School District is responsible for the public schools in Boynton Beach. There's a small handful of private schools in the city. If you are interested in enrolling your child in a private school, there are both parochial and secular campuses to consider. Utilities: Florida Power & Light (FPL), Florida Public Utilities and the city of Boynton Beach are the primary utilities providers in the area. Garbage and Recycling: You can expect regular curbside collection of your trash and recyclables in most residential areas of Boynton Beach. Transportation: The Tri-County Commuter Rail provides service from nearby West Palm Beach to Miami, while the Palm Tran bus service has several routes throughout Boynton Beach. Driver's Licenses: Within 30 days of enrolling your child in school, starting a job or declaring residency, you must obtain a Florida driver's license. Boynton Beach has a balanced mix of single-family homes and condominiums. The most expensive properties are found in Las Palmas Landing, Boynton Isles and St. Andrews Ocean, with high prices due to their scenic ocean views. However, even as a beachfront city, Boynton Beach offers a median home price that's significantly more affordable than the Miami metropolitan average. Our lowest priced units in Boynton Beach, FL average $34.00 per month. 443 people have reserved units in Boynton Beach, FL in the past 30 days. There are 9 locations within Boynton Beach, FL's city limits. There are 9 locations in Boynton Beach, FL that offer AC and Heating features.